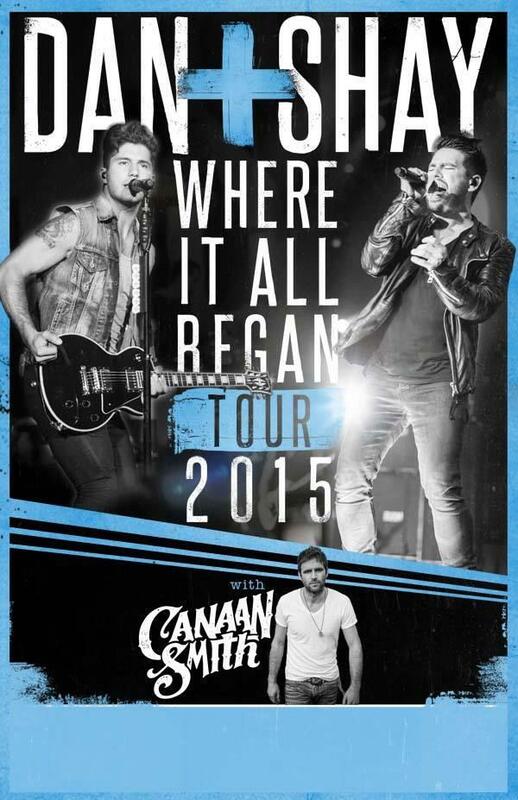 Dan + Shay Announce 2015 Where It All Began Tour with Canaan Smith! Country duo Dan + Shay are already in the Holiday spirit! After releasing their music video for “Have Yourself a Merry Little Christmas” last week, they just gave us the best Christmas gift ever – new headlining tour dates! The Where It All Began Tour with Canaan Smith kicks off in February in Knoxville. Tickets go on sale this Friday, December 5th with presales happening through Fahlo and the Dan + Shay newsletter. Make sure you sign up and check out the dates below! *VIP Tickets for all shows are available HERE! If you haven’t had a chance to see Dan + Shay live, this is one tour you don’t want to miss. They are one of our favorite artists to see live because of how passionate they are on stage. You can see how much they absolutely love what they are doing, and they’re having fun, too. And the show is one big singalong – everyone in the audience knows the words. And the harmony. Watch their performance of “Partner and Crime” from Highline Ballroom in NYC on their first headlining tour! Be sure to follow Dan + Shay and Secret Fangirls for more updates! Previous PostAustin Mahone Book Tour!Next PostBackstreet Boys Show ‘Em What You’re Made Of Documentary To Be Released January 30th!